Big room for the expansion of broadband internet in Nepal, both fixed and mobile. The telecommunication development of the country used to be measured by tele-density only, which is the percentage of telephone access to people. Then came Mobile penetration and broadband penetration which are now a major indicator for the percentage of mobile and broadband access to people. According to Nepal Telecommunication Authority latest data, the tele-density in Nepal has crossed 131 percent. Most of the telephone lines are of mobile technology like GSM, WCDMA, CDMA. The mobile penetration itself is 125 %. That does not necessarily means the mobile coverage is everywhere and everyone is using the mobile. Considering the dual SIM customers, customers who went abroad or old age/ infant people, the unique Mobile penetration is less than 100 percent. The latest NTA data shows the internet penetration of 58 %. This mostly includes cellular data in 2G and 3G technology, like GPRS, EDGE, WCDMA, EVDO. Other services for internet include ADSL, Coaxial cable, FTTH and WiMAX. Here we can find the internet penetration to be way less than the mobile penetration. The reason could be the unavailability of mobile internet in remote areas or the usage of non internet feature phones. As per the NTA broadband policy, speed greater than 512 Kbps is considered as a broadband internet. 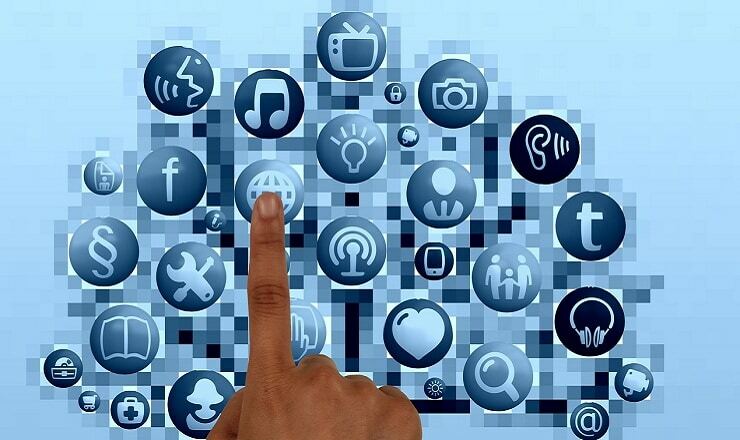 Previously every home internet access other than dial up were considered as a broadband internet. But now lately with the NTA definition, the broadband internet does not include Ntc 384 kbps ADSL and other lower speed internet services. The broadband services from telecom include the high speed 3G, 4G, ADSL and WiMAX services which have speed ranging from 1 Mbps to 10 Mbps in average. 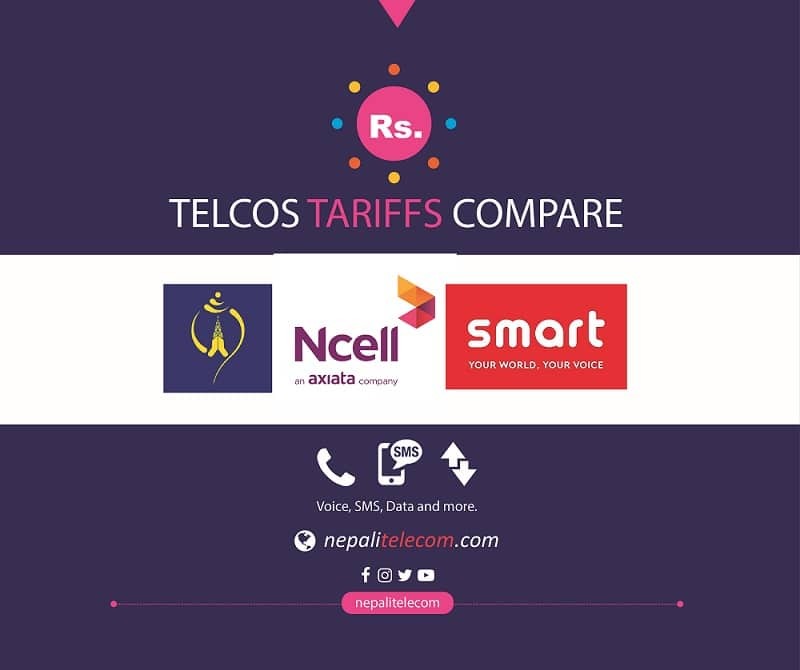 Apart from Telecom companies, the private ISP now have a growing market share for broadband internet services in Nepal. In 2016, ITU presented the broadband penetration to be around 20 percent. Now we are here to calculate the latest broadband penetration in Nepal. NTA have targeted to make the broadband reach to 45 percent in 2018. 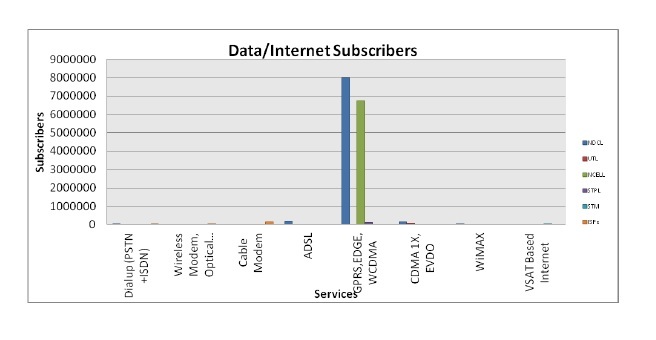 Latest data shows there are around 2 lakhs broadband subscribers from private ISPs though wireless/ optical link and coaxial cable. Among the Ntc ADSL of 1.8 lakhs, we can estimate the broadband to be 80 thousands (0.80 lakhs) as 384 kbps in the most popular and used ADSL package. Now all of the Ntc ADSL lines can be considered broadband as they have upgraded all of their service to at least 1 Mbps speed. Among the subscribers with mobile internet, WCDMA, EVDO and LTE (4G) technology can be considered a broadband internet. Similarly there are around 16 thousand WiMAX customers for broadband internet. As the NTA data does not show the separate no of lines for 3G and there is no any 4G subscriber information, we can take it to be 50 percent of total mobile internet subscribers. We assume that the number of 4G subscribers are included in the number of mobile internet subscribers with GPRS, EDGE, WCDMA. When it comes to mobile broadband, it is equally important to ponder on the smartphone penetration in the country. The smartphone penetration in Nepal has taken a leap from mere 15 percent previously to 30 percent last year. There should be enough efforts to increase this indicator, for fostering the mobile broadband in Nepal by the service providers. Here is a table for the calculation of the broadband internet penetration in Nepal, which we think NTA should publish in their MIS regularly. With the above calculation, we find that the total broadband penetration is around 28.3 28.6 percent. Among which, the mobile broadband penetration is about 27 percent. This shows, there is a big room for the expansion of broadband internet in Nepal both fixed and mobile. For which, the regulator has to make a broadband friendly policy like the opening of more sub 1 GHz frequency for broadband (either 3G or 4G). Similarly, telecom operators and ISPs also need to invest much for providing broadband in whole of Nepal, including remote areas.